Our in-store repair department offers the latest in technology. 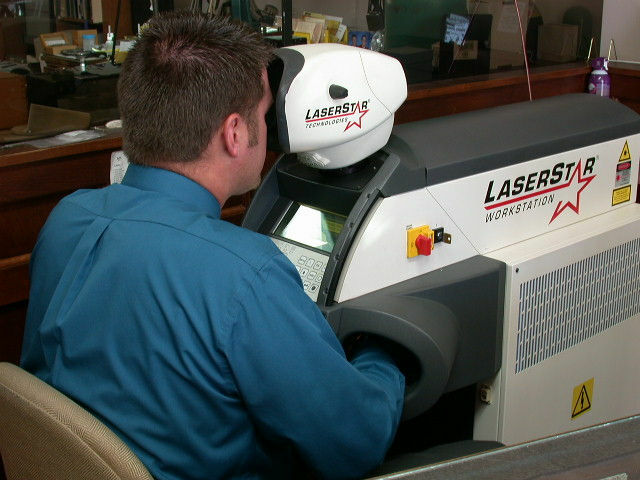 We use a sophisticated jewelry laser welding process for both assembling and repairing your precious pieces of jewelry. Below is a list of just some of the repairs we do in our store. We are always happy to give free estimates. We also offer eyeglass frame repair. We can usually have your glasses repaired within 24 hours, Monday through Friday, 9:00 a.m. until 5:30p.m. Remember, free parking is available right behind our store.